Set aside some space on those bookshelves. This is looking to be a very, very good year for nonfiction. Thanks for this, although you misspelled something vital! Take a cue from Lois Lane suspended beneath an Eiffel elevator! Capital N, little o, little b, little e, little l. Nobel. Summer 2017 = The 7th Function of Language (in French, mind you) …. ….reading the titles alone is pure bliss already…. ** sigh ** goodbye money, hello new worlds. Hi Themba, Salter died a couple years ago at age 90. I think the book is a collection of his stories. Cheers and I hope I don’t sound pedantic. But while I am here, Tom Hanks? Really? Maybe he and the precocious Lena Dunham can fund your site? Tom Hanks, Sharon Stone, Steve Martin, James Franco, Madonna… there’s a long and august tradition there. What *can’t* these people (and their extreme editorial aid) do (beside write)…? I have preordered ” The Power” by Naomi Alderman. It won the 2017 Bailey’s Women’s Prize for Literature and has a publication date of October 10th. The really exciting news is a new Javier Marias out in Spain in September, Bearta Isla. Let’s hope it goes straight to the top of Margaret Jull Costa’s to-do list. 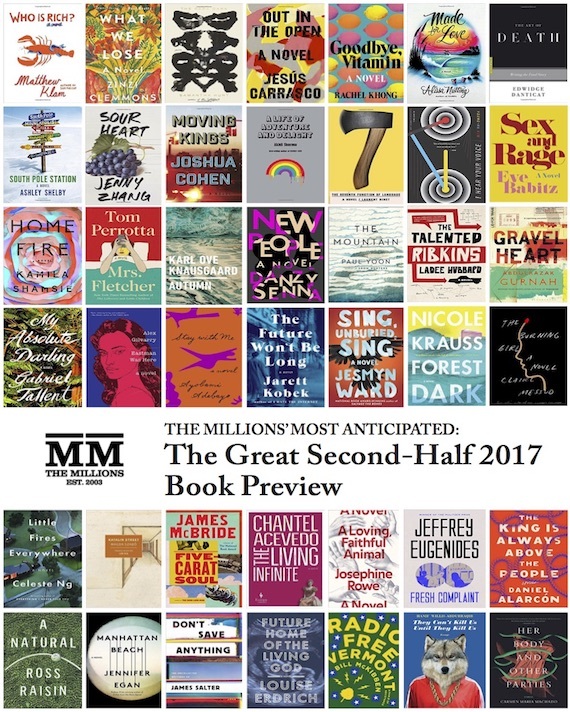 Where can I find previews of non-fiction books coming out in fall 2017?